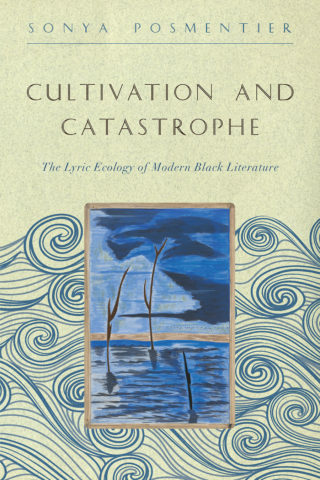 Posmentier argues that environmental experiences of growth and rupture define the literature of black freedom, an archive that ranges from sonnets, mini-epics, documentary poems, periodicals, and novels to blues songs, dancehall productions, and ethnographic writing. In turn, this literature generates important and surprising models for ecological thought. Claude McKay, for example, connects rows of potatoes to the poetic line; Zora Neale Hurston composes rhythmic communal lyrics in the Florida “muck” following a deadly hurricane; and Derek Walcott critiques property-based ecological relations through the archipelagic shape of his mid-career poetry. Posmentier examines how these writers, along with Gwendolyn Brooks, Bessie Smith, Sterling Brown, Lloyd Lovindeer, Kamau Brathwaite, and others give voice to racialized experiences of alienation from the land while simultaneously envisioning a modern poetics of survival, repair, and generation. Going against the grain of scholarship that has situated modern black diasporic agency largely in metropolitan sites, Posmentier traces a black literary history of environmental and social disaster while exploring the possibilities and limits of poetry as an archive for black modern culture in its many forms. This pathbreaking book offers stunning new insight into modern black literature, environmental humanities, and poetry and poetics.